It’s no secret by now that the US is dead set on containing China, yet it’s shying away from engaging in a direct confrontation with it. Instead, the US is managing a dual policy of creating chaos along China’s western and southwest reaches, while coordinating a containment alliance along its southeastern and northeastern periphery. Central Asia, northeast India, and Myanmar represent the chaos components, while the ‘unsinkable aircraft carriers’ of Japan and the Philippines are the coordinated ones. In this manner, the US is literally surrounding the country with hostile situations and states (with the obvious exception being the Russian frontier), hoping that this can disorient China’s decision makers and consequently pave the way for the external destabilization to infiltrate inwards. Amidst all this plotting, China isn’t sitting on its hands and behaving passively, since it has three specific strategies in mind to break the Chinese Containment Coalition (CCC) and counter the US’ Pivot to Asia. The western and southwestern strategy of the CCC is to create a destabilized ‘rimland’ capable of infecting China’s vulnerable peripheral provinces with contagious chaos. This section examines how American grand strategy in Central and West Southeast Asia is designed to do just that, while a previous publication by the author already explored the prospects of a chain reaction of Color Revolutions emanating from Hong Kong. 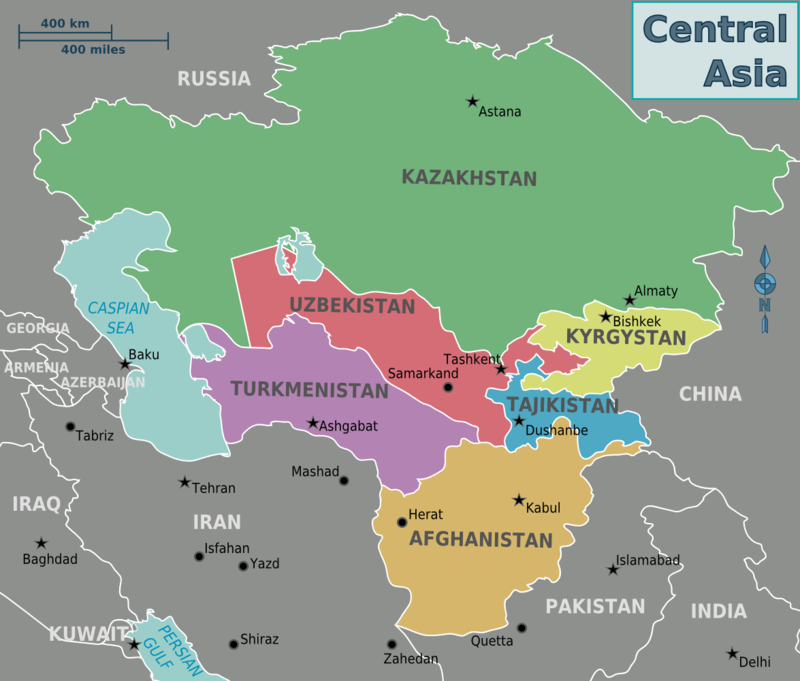 The Central Asian ‘hermit state’ is identified as the country most vulnerable to a transnational Taliban offensive sometime in the future. Should this come to pass and the country is not properly prepared to defend itself, then the disastrous consequences would immediately spread to Russia, Iran, and China, as was explained in a previous article by the author. Pertaining to the latter, this involves the massive destabilization of China’s regional gas imports from its largest current supplier, which would of course have negative reverberations in Xinjiang, the ultimate target of the US’ Central Asian chaos policies as they apply to the People’s Republic. 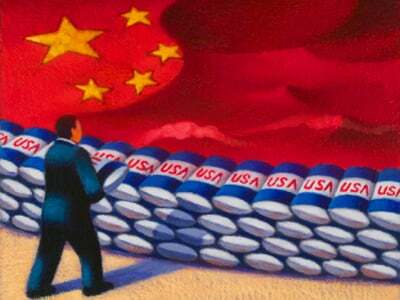 The more endangered and insecure China’s continental energy imports are, the more reliant the country becomes on receiving them via maritime channels, which given the US’ naval superiority, places them directly under Washington’s control in the event of a crisis. The chaotic threat originating in Kyrgyzstan is more tangible than the one in Turkmenistan, as the mountainous republic directly abuts Xinjiang. 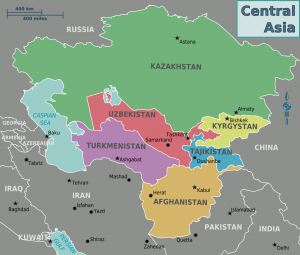 When looking at the US’ destructive Central Asian strategy, it becomes evident that it has an interest in ushering in the collapse of the Kyrgyz government via a new Color Revolution in order to, among other things, create an Uighur terrorist haven that can enflame the externally directed ethno-religious insurgency against Beijing.From the perspective of American foreign policy, then, a crisis in Kyrgyzstan is a geopolitical lever that can be ‘pulled’ to activate more instability in Xinjiang, with the aim of potentially luring the People’s Liberation Army into a quagmire. 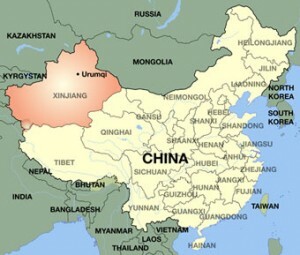 In the general scheme of things, both Central Asian republics, Turkmenistan and Kyrgyzstan, are essentially anti-Chinese weapons waiting to be (de)constructed by the US for use against the strategic province of Xinjiang, with Uzbekistan also playing a similar role if it implodes (or is prodded to do so by the US). In this corner of India, which could culturally be considered the northwestern fringe of Southeast Asia, the myriad ethnic tensions and bubbling insurgencies there could make the leap from being a domestic to an international crisis. The author previously assessed that one of the repercussions of last year’s Bodo-inspired violence was to destabilize the proposed Bangladesh-China-India-Myanmar (BCIM) trade corridor, which would negatively affect Beijing’s plans for a ‘Bay of Bengal Silk Road’. Internationalizing the situation, however, could see ethnic warfare emboldening militant non-state actors in Myanmar, with the end goal that they finally destabilize Yunnan Province, the most culturally diverse area in China that has even been liked to “a perfect microcosm” of it. Although there is no evidence that has yet been procured to suggest that the US played any role in instigating the latest violence in Assam, it doesn’t mean that it can’t do so in the future, especially now that the die of ethnic tension has already been cast. This Damocles’ Sword is continually hanging over the head of India’s decision makers, since they understand that it can be applied against them in the event that they resist Washington’s pressure to commit more closely to the Chinese Containment Coalition (CCC). The greatest conventional threat to China along its southern edge (notwithstanding a hostile India) lies in the overspill of ethnic warfare from Myanmar into Yunnan. This is actually already happening, since the recent violence in Kokang (Shan State) has forced thousands from their homes and into China as refugees, where they are reportedly being seen as ‘burdensome’ to the authorities. Quite obviously, China comprehends the vulnerabilities of Yunnan to Xinjiang-like external destabilization, albeit manifested in a different manner, hence its sensitivity to what may be the reignition of Myanmar’s civil war. After all, the unexpected outbreak of violence has yet againdelayed the country’s long-awaited peace talks from being concluded, which were reportedly set to be finalized prior to this. Now, however, other ethnic groups have become emboldened by the clashes, and are sendingtheir own fighters and mercenaries to Kokang, which has also been put under martial law. It now looks like the fragile nationwide peace process is on the verge of being completely shattered, and the fighting may spread to other ethnic regions if their respective militias decide to take advantage of any perceived government setbacks in Kokang to launch their own offensives. All of this would lead to the deterioration of Yunnan’s security and the influx of thousands of more refugees, some of whom may even be militant-affiliated and intent on starting their own uprisings inside China. It is this factor that scares Beijing the most, namely, that Yunnan’s jungles could one day become home to Xinjiang-like fighters intent on throwing another corner of the country into chaos. 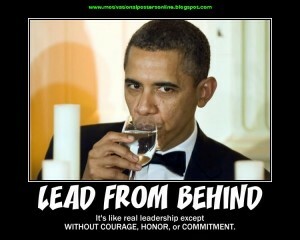 Making sense out of this grand chaos is the fact that it does follow some semblance of order in terms of US strategy. The countries in focus are along China’s western and southwestern edge, which is already ripe for ethnic provocations. Additionally, two of the states abutting the targeted provinces, Kyrgyzstan for Xinjiang and Myanmar for Yunnan, are inherently unstable for their own reasons, thus making them ‘ticking time bombs’ that could be prodded by the US to explode on China’s doorstep. As regards Turkmenistan, Uzbekistan, and northeast India, their destabilizations are tripwires for the two main ‘bombs’, Kyrgyzstan and Myanmar, although the disruption of any of the three aforementioned areas does undermine China in its own right. In short, this vector of American grand strategy is aimed at the destruction of key peripheral states surrounding China in order to chip away at the strength of the central government along its own peripheral areas, two of which (Xinjiang and Yunnan) are susceptible to outside-directed destabilization aimed at ethnic agitation. The remilitarization of the country under Prime Minister Shinzo Abe has rattled both China and South Korea, which still vividly remember the scars of World War II. Beijing is especially dismayed at Japan’s ‘reinterpretation’ of its pacifist constitution, whereby it was decided that its ‘self-defense forces’ could assist embattled allies abroad, with analysts popularly pointing out that this likely alludes to its mutual-defense ally, the US. Be that as it may, it isn’t restricted to solely cooperating with the US, and could also support regional militaries as well, which is where the Philippines comes in. Like Japan, the US also retains a mutual defense commitment to the Philippines, which was intensified by an additional 10-year agreement signed last summer. It elevated its relations with Japan to a strategic partnership in 2011, which made Tokyo second only to Washington in having this privilege with Manila, and it just clinched one with Vietnam, too. This is exceptionally important because it means that the Philippines is turning into the nexus connecting the three primary partners of the CCC, and that any outbreak of hostilities between it and China would likely draw in its other three partners to some extent (which will be addressed soon). This Southeast Asian state has historically been engaged in a bitter rivalry with China, expressed most recently through the 2014 anti-Chinese riots and the earlier 1979 Sino-Vietnamese War. While it’s not forecasted that Hanoi will enter into a formal defense relationship with Washington akin to that of Tokyo or Manila, ties between the two have steadily warmed throughout the years, with the US easing a ban on weapons sales to Vietnam late last year in order to announce a week ago that it’ll be providing it with 6 patrol ships. Military cooperation and strategic coordination are set to only increase in the coming years, as the US brings Vietnam on board the CCC as a back-up member, although it’s not clear whether this will spill even more into the open, move somewhat into the shadows, or stay at its current level. Seeing as how the country shares an actual land border with China, and Beijing’s military prowess is stronger on land than it is at sea, it’s doubtful at this time that Hanoi would enter into a direct confrontation with it (unless it was assured in its ability to repeat the fortunes of the 1979 war). What is more probable, however, is that it’ll assume the role of a dual ‘Lead From Behind’ partner with the Philippines in containing China’s naval activity in the South China Sea, and could indirectly come to its aid in the event of a formal conflict. Working indirectly through the Philippines via its new strategic partnership with Vietnam, Washington and Hanoi could obscure their increasingly close military ties and thus avoid domestic outcry concerning their de-facto military alliance. Not only that, but Vietnam can also retain a degree of plausible deniability in its relationship to the CCC, although this may no longer be believable if it goes forward with deeper cooperation with the US Navy, principally in allowing more port calls and possible joint naval exercises. Seoul is the weak link in the CCC, but even so, it’s necessary to address the US’ planned role for it, no matter how successful it may be in fully actualizing it. The idea is for South Korea and Japan to form the basis of the Northeast Asian section of the CCC, but given the major issues between them (primarily their views on World War II and the Liancourt Rocks dispute), it’s going to be difficult for their governments and citizens to agree to such a thing. Taking matters even further, South Korea is being purposely ambiguous over whether it will host a US missile defense infrastructure on its territory, showing that it’s pragmatic enough in its policies to take China’s interests into consideration. This may be influenced by the fact that the two have already signed aFree Trade Agreement that represents one of the highlights of China’s regional diplomacy in recent years. Despite this, Seoul, Tokyo, and the Washington have linked up to share intelligence on North Korea, creating a network which could easily be directed against China sometime in the future if the ‘need’ arises. Signifying that Seoul won’t fully abandon the US anytime soon, it recentlyprolonged the US’ control over its armed forces during wartime until the mid-2020s. When the US’ reinforcement of power and China’s influence inroads are compared back-to-back, South Korea can most clearly be seen as an object of strategic competition for both Great Powers, even though over 28,000 US troops are currently based in the country. Therefore, it’s uncertain whether the country can fully commit to one side or another, meaning that the prospects of its full incorporation into the CCC are severely limited, although they would stand to be extraordinarily impactful if they succeed. Each piece of the CCC is part of a larger picture, and certain strategic strands of thought connect everything together into a semi-integrated whole. Outright conflict between China on one hand and Japan or Vietnam on the other would carry with it high costs for both sides, including economic (which may be seen as most important by Japan/Vietnam), thus serving as a counterweight to bellicosity and irresistible military provocations. The same ‘speed bumps’ aren’t as visible when it comes to the Philippines, however, meaning that the US’ second ‘unsinkable aircraft carrier’ might be used as ‘bait’ to tempt China into a Reverse Bzezinski in the South China Sea. While a cursory examination may lead one to immediately discount the Philippines as having any chance of military success against China, a closer examination (per the details revealed earlier) indicates that the island chain may be one big trap owing to the strategic and military relationships it has with third parties. In the event of hostilities between Beijing and Manila, Washington would surely offer some form of aid and support to its ally. 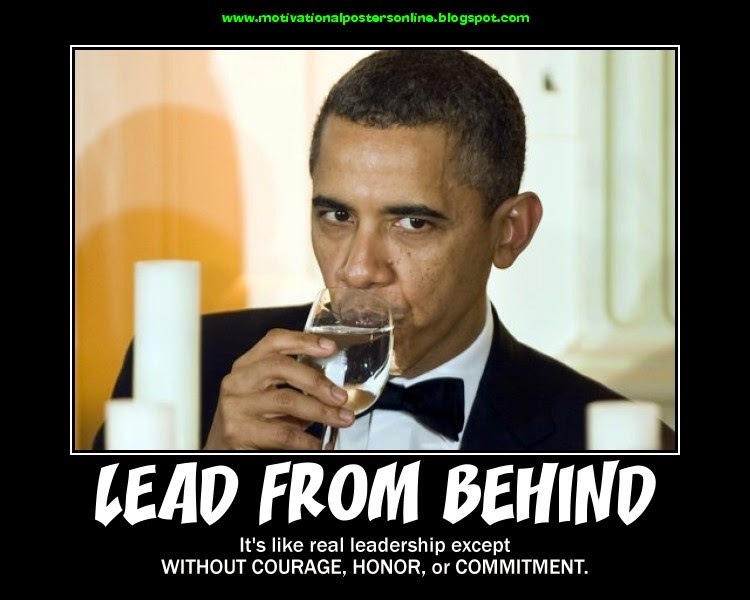 Its actions in Ukraine can be seen as a trial run for what it can and cannot get away with (and within which time frames) in assisting a weak proxy against a Great Power, and it is expected that such strategic and logistical lessons will certainly be applied to the Philippines during any conflict it may enter into with China. Just as Ukraine has served as a rallying cry to reinvent NATO as an alliance against Russia, the Philippines may likely serve as a rallying cry to formalize the CCC into an analogous organization against China. The Philippines other strategic partners, Japan and Vietnam, would also likely rally to Manila’s defense in the same manner that Poland and Lithuania are doing for Ukraine (albeit on a much larger and more significant scale). For Tokyo and Hanoi, they can have the opportunity to project more force in the South China Sea and test various military equipment that they could rush to the Philippines (ships in the case of Vietnam and drones for Japan). Complicating matters even more would be if India and Australia, two out-of-regional states like the US, also throw their hat in the ring on Manila’s side and aid the archipelago in the same manner as Japan and Vietnam, using the manufactured conflict as an excuse to entrench their influence in the area. What is important here is not whether the Philippines wins (which is extremely unlikely), but the fact that it becomes the ‘Southeast Asian Ukraine’, misleadingly painted by the mainstream media as the victim of a non-Western Great Power (when in reality the roles are reversed) and partially sacrificed in order to serve as a rallying call for the solidification of the CCC. Not only would the CCC be formalized under such a probable scenario, but all of the Philippines official and non-official partners could flood the South China Sea with their support, possibly even setting up a de-facto permanent presence (even if it’s nominally referred to as ‘rotational’). Also, by coaxing China into a conflict with the Philippines (via unacceptable provocations), the CCC can also monitor how the People’s Liberation Army-Navy operates in wartime, providing observable methods and tactics that can be analyzed in crafting appropriate military countermeasures for ‘the real fight’ sometime in the future. Like was described earlier, South Korea is far from a stalwart American ally, seeing as how China has made such enormous inroads there in the past decade that Seoul has no choice but to behave in a pragmatic way towards it. This means that it becomes increasingly unlikely that it will fully commit to the CCC, which would thus remove it from the containment chain being strung around China. Beijing’s objective, then, is to maintain South Korean ‘neutrality’ in the ‘Cold War’ that the US is cooking against China, with the dream scenario being that Seoul expedite the return of control over its wartime forces and perhaps even enact limits (or staged removals) on the US military presence there. While such a development may seem like political fantasy at this point, it doesn’t mean that it isn’t the end goal that China is pursuing. Ultimately, if South Korea swaps the US for China as its preferred partner (which may steadily happen through a combination of growing anti-American sentiment, anti-Japanese resentment, and pro-North Korean attitudes). It goes without saying that such a monumental shift in geopolitics would carry with it far-ranging ripples, most immediately felt in the North-South Korean talks but possibly extending throughout the rest of the Asia-Pacific. China’s most grand move in perhaps all of its history is to connect Africa-Eurasia via overland and maritime Chinese-initiated trade routes. Addressing the latter within the context of this piece, it has the possibility of transforming geopolitically misguided and potentially hostile states in Southeast Asia into pragmatic partners along the same lines as the South Korean model. Other than that major strategic benefit, the Maritime Silk Road would also obstruct the US’ Trans-Pacific Partnership (TPP) trade grouping that is meant as an anti-Chinese economic bloc. This Washington-controlled entity could potentially tie the associated economies even closer together to create the ‘economic grounds’ for an ‘East-Southeast Asian NATO’, the CCC, which is why it’s so important for China to preempt these measures through the Maritime Silk Road. On a larger level, China’s moves would represent a closer step towards the fulfillment of its Free Trade Area of the Asia-Pacific plan, which is Beijing’s counter to the TPP. It’s already laid the groundwork for this through its Free Trade Agreements with South Korea and Australia, two archetypical American allies, showing that with the ‘hard work’ out of the way, it may be easier to round up more politically pragmatic and less US-influenced entities into the framework in the near future. Taking matters further, although the Maritime Silk Road isn’t restricted solely to the Asia-Pacific, it can use the region to experiment with various diplomatic and economic approaches that can be fine-tuned and applied further ‘downstream’ (perhaps between China and East Africa) in turning the project into a truly trans-continental endeavor that might one day link all of China’s free trade regions together with one another into a macro-free trade zone. The third method that China can employ in breaking through the CCC is to strengthen the SCO in order to stabilize Central Asia. Not only could this prevent or quickly extinguish the chaotic threats outlined in the first section, but if successful, it could provide a convenient overland ‘detour’ around the CCC (if it’s not neutralized or prevented from coming into existence by that time) that could strengthen the continental vector of the Silk Road project and relatively safeguard China from the US and its allies’ maritime blackmail. Although it wouldn’t completely remove such threats (which must always be factored into China’s strategic calculations), it could provide a useful and convenient outlet for engaging with the rest of Eurasia and securing valuable energy imports from the Caspian Basin. 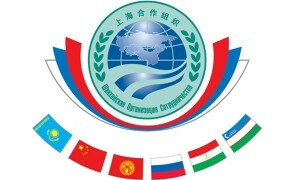 Expanding the SCO would also be a method of strengthening it, since it would expand its responsibilities to other countries that China engages with, as well as providing a non-Western forum for settling disputes that may arise between its members (for example, between China and India, or perhaps between both of them over Nepal or Bhutan). The US is engaged in two Cold Wars in the present day, with the one against Russia stealing most of the limelight, while the one against China is still simmering. Just as it’s doing to Moscow, the US is fostering an artificial neighborhood of hostility against Beijing and subsequently linking the aggrieved and manipulated states together into a type of containment coalition. While the US’ policy is still playing out against China, it’s certainly learning a thing or two from its campaign against Russia, namely, that a crisis needs to be concocted in order to roll out the Asian vector of the New Cold War. The chaos that Washington is breeding in Central Asia and mainland Southeast Asia is more suitable for weaponization than it is politicization, hence why the US needs to manufacture a crisis in the South China Sea involving the prospective members of the China Containment Coalition. Beijing will have to adroitly maneuver between the chaos and coordination in order to withstand the grand destabilization that the US is plotting all along its periphery, but if it can succeed in its strategic counter measures, then multipolarity will blossom in the Asia-Pacific and fortify itself throughout Eurasia.